To say that Clarence Jordan was a Christian is at the same time an understatement and the truth. The Georgia native who was considered a blasphemer by some and an agitator by many more was indeed a Christian — just as Frank Sinatra was a singer and Babe Ruth a baseball player. They’re true statements that nevertheless don’t even begin to paint a complete picture. Jordan was the Christian’s Christian. 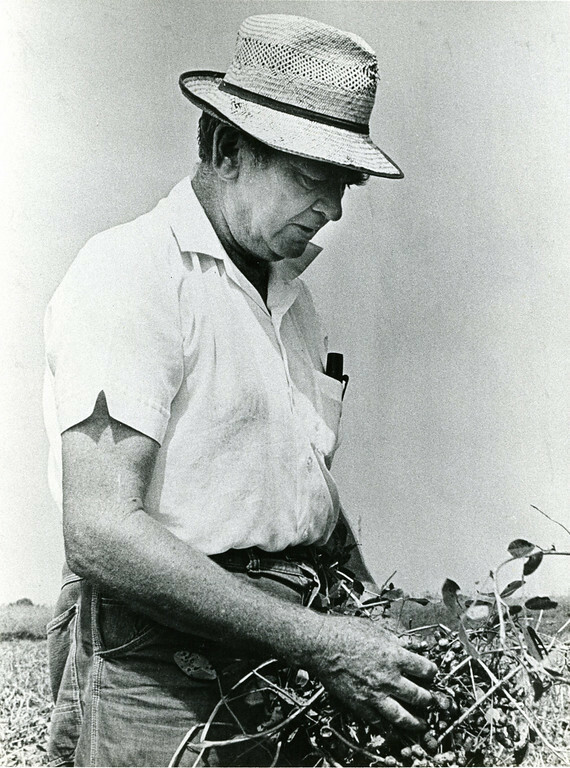 The Koinonia Farm community he founded in 1942 as an interracial Christian farming commune in Sumter County, Ga., will celebrate Jordan’s 100th birthday on Sunday, July 29. And Sept. 28-29, the Clarence Jordan Symposium will bring a host of speakers to Sumter County from around the nation to talk about Jordan’s life, true Christianity and how Jordan’s teachings apply today. Another way to understand Jordan’s views on putting faith into action is to simply go to Koinonia or any farm or backyard and dig your fingers into the soil, drop a seed into the hole and walk away with dirty hands. For Jordan, who had a degree in agriculture from the University of Georgia and a Ph.D. from Southern Baptist Theological Seminary, real Christianity was dirty. He was willing to get his hands dirty in Jesus’ name. He penned “The Cotton Patch Gospels” to put the New Testament in a modern context, set in the segregated South. He refused to bend when racists bombed Koinonia property. His efforts may not have been fully appreciated at the time, but he was simply planting seeds and happily getting his hands dirty. Literally and figuratively. Jordan died of a heart attack in 1969, but the seeds he planted in people’s hearts and in the dirt of Koinonia indeed sprouted and multiplied. Jordan was the kind of Christian that even nonbelievers appreciate, just as they do a Mother Teresa or Martin Luther King. He wasn’t out for fame, money or power. He merely tilled the soil of the Gospel and helped real faith grow. Putting Jesus’ teachings into action, faith with works, is something believers and nonbelievers can appreciate. Although, ironically, it seems sometimes nonbelievers are more willing to accept the ways of Jesus or Clarence Jordan more than their Christian counterparts. Too many Christians aren’t willing to get their hands dirty or put their faith into action. (If they were, there might not be any nonbelievers.) And, too often, they aren’t willing to listen to those whose faith cuts against the grain of complacency until those people are gone from this earth. Too often, they are more willing to cast stones than to lay them. Some may believe Clarence Jordan was ahead of his time with his views on racial equality, peace and ecological stewardship. But Jordan’s time wasn’t today. It was 2,000 years ago. Click here to learn more about the Clarence Jordan Symposium — September 28-29, 2012 Americus, Georgia.